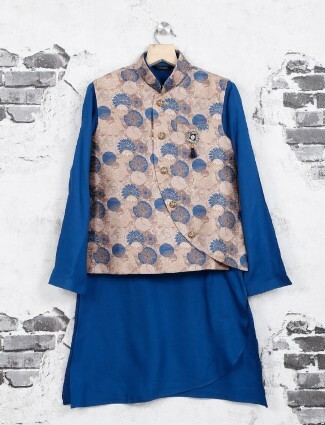 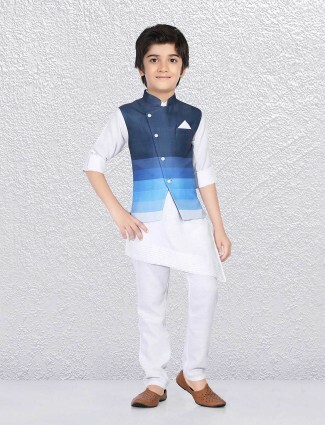 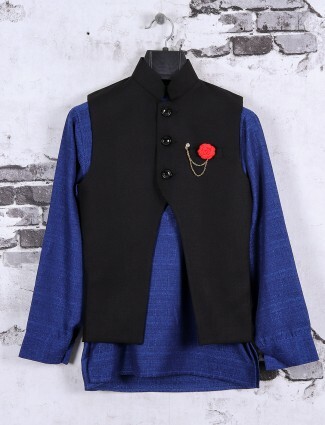 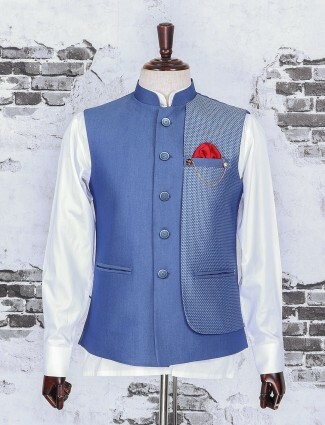 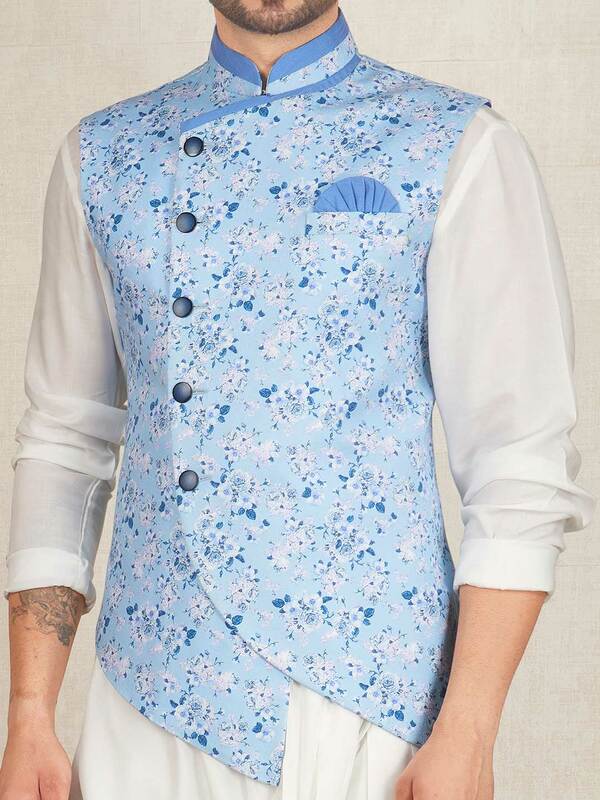 Stunning look with this light blue colored terry rayon fabric flower print at over all party wear waistcoat set. 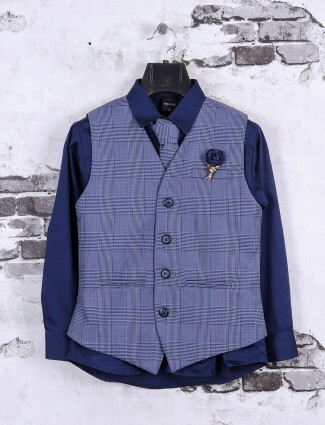 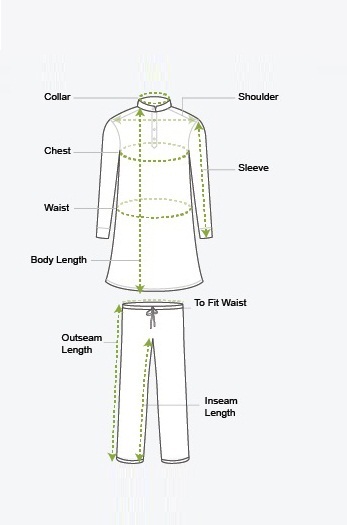 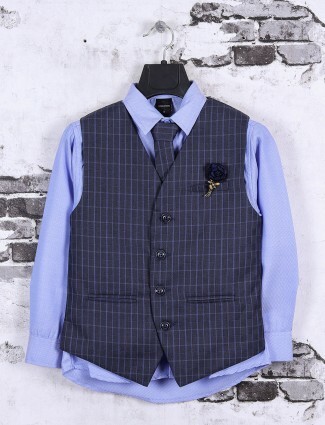 It has stand collar, cross hem, full buttoned placket, welt pocket with tie. 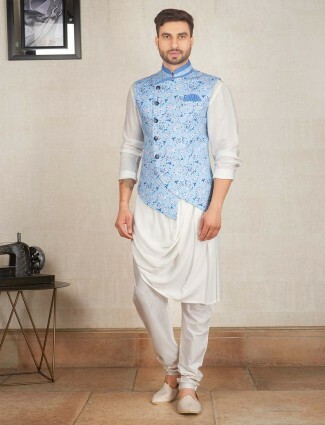 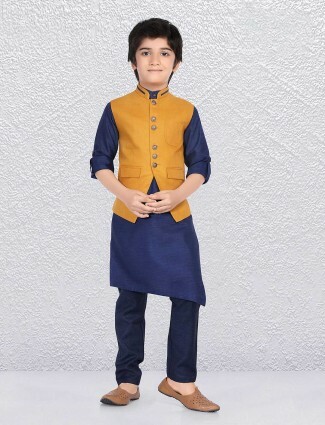 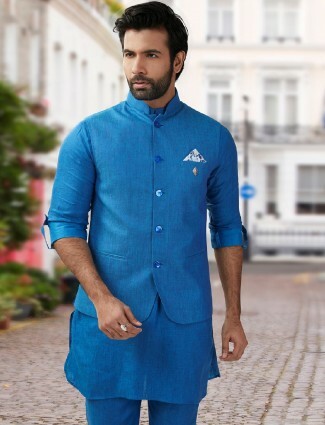 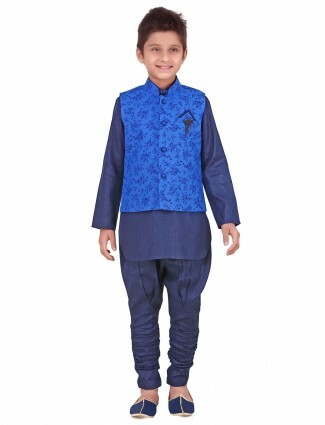 Comes with white colored cotton kurta suit.